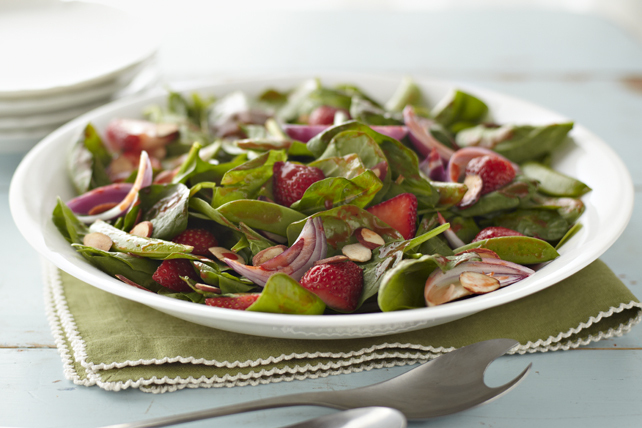 Fresh spinach is tossed with snap peas, juicy strawberries, onions and toasted nuts. Topped off with a drizzle of tangy dressing, this salad makes a super, seasonal side. Heat oven to 350°F. Spread nuts in single layer on baking sheet. Bake 8 to 10 min. or until lightly toasted, stirring occasionally. Substitute pea pods for the snow peas.